The Rural Bankers Association of the Philippines will hold its 64th Annual National Convention and General Membership Meeting on May 29-30, 2016 (Monday & Tuesday) at the Cordillera Convention Hall of Baguio Country Club, Country Club Road, Camp John Hay, Baguio City. The theme for the Convention is, “RURAL BANKS: LEADING THE WAY FOR COUNTRYSIDE DEVELOPMENT AND INCLUSIVE GROWTH”. It focuses on rural banks as prime movers of rural economic development — driving growth and progress in the local communities by making quality and reliable financial products and services accessible for the underserved Filipinos. Rural banks continue to lead the path in advancing inclusive growth with their knowledge of the rural market and their unparallel passion to serve the needs of their clients. With the aforementioned, combined with good governance and institutionalization of sound management practices, the industry aims to deepen and widen its role in boosting local economies. For this national gathering, we are inviting speakers and experts from various institutions to provide insights about the industry, discuss new business opportunities and facilitate a fruitful exchange of information among the participants. In the interest of an orderly Convention, please accomplish the following forms and submit to RBAP Secretariat via email rbapevents@gmail.com or fax (02) 527-2980 on or before the indicated deadline. Click here to download the circular and the above-mentioned forms. Delegates coming from Visayas and Mindanao, click here to download the bus schedule and contact details of van rental service so you can directly arrange for your transportation from Manila to Baguio and vice-versa. We are inviting you to the 33rd Mindanao Credit Management Conference scheduled on August 22-23, 2013 at Dotties Place, Samping Ave., Butuan City. You may download the invitation, registration form and hotel rates below. Please take a moment to view this 3 minute video and see what’s in store with your attendance. Join us as Mindanao Rural Bankers ” Build Routes for Economic Progress”. For your guidance, attached is the Program for the RBAP 60th Annual National Convention on June 10-11, 2013 at Sofitel Philippine Plaza, Manila. the event, the early bird fee is reduced to P1,000.00 per participant. (02) 527-2980 or to MABS Office at (02) 400-4561 (Manila). The Rural Bankers Association of the Philippines-Microenterprise Access to Banking Services (RBAP-MABS) Program is happy to announce that its National Roundtable Conference will be on June 7-8, 2012 at the Hyatt Hotel, Pedro Gil corner M.H. Del Pilar, Malate, Manila. Listen to discussions on pricing transparency and other regulations affecting microfinance. Share your own experiences as research findings on multiple lending are discussed by research investigators. Take away lessons from your fellow rural bankers using information tools to improve their operations. Have yet to decide whether to use or not an existing credit bureau? Listen to your fellow rural bankers discuss how using the credit bureau has helped them avoid high risk clients. Do you use SMS, Facebook, Tweeter and other social networking sites to interact with your clients? Hear Ms. Maria Ressa, CEO and Founder of Rappler, Mr. Hans Roxas Chua, past president of Mobile Marketing Association of the Philippines, and others on the panel for a discussion on the creative uses SMS and social networking tools for your bank to reach more clients. Been wondering what happens to RBAP-MABS Program going forward? Come to the National Roundtable to hear the plan for expanding RBAP-MABS training and technical assistance activities. We have lined up interesting resource speakers, panelists, and rural bankers that will generously share their experiences. And, of course, your bank’s EAGLE Scorecard for 2011 will be available. There is more. Join us in celebrating the 15th year of the USAID-supported RBAP-MABS Program on the evening of June 7. 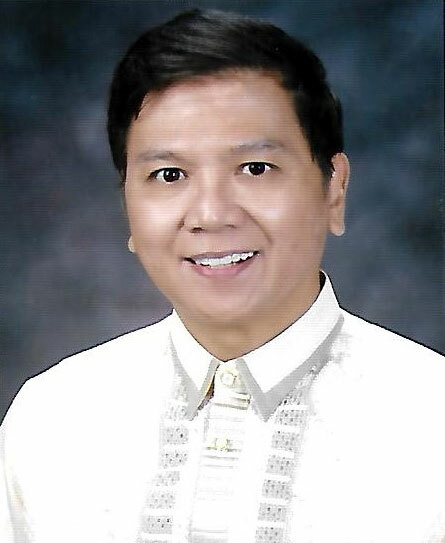 Find out who the 2011 EAGLE Awardee is. Been reporting to the MIX Market? Come and join Ms. Liz Larson on stage to be recognized during the awards ceremony. The National Roundtable Conference is the only event which gives you updates and developments in new microfinance regulations, microinsurance, mobile banking technology, market research, and microfinance services. Wait no longer! Contact us today to learn more about attending and participating at the NRT 2012. 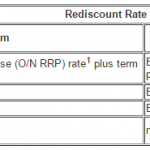 03, 2012 are entitled to a 5% discount or PhP1, 710.00. 1. Deadline for submission of registration is not later that May 15, 2012.
or May 07, 2012. Otherwise, reservation is considered cancelled. The Rural Bankers Research and Development Foundation, Inc. (RBRDFI), together with Microenterprise Access to Banking Services (MABS) Program and Smart Communications, Inc. is NOW READY TO ROLL-OUT SMART MONEY-IN MONEY-OUT (MIMO) SERVICES TO RURAL BANKS. Take advantage of the upcoming scheduled Smart Money Accreditation Training and be among the FIRST rural banks to offer Money-In Money-Out services to rural clients. million clients subscribed to Smart Money of which 2.5 million are actively using it. An average volume of around PhP 8 billion Smart Money transactions is also processed monthly. complete set of accreditation kit and will be guided in the process of Smart Money accreditation. Note that the banks will still need to get a “No Objection” letter from the Supervision and Examination Sector of the BSP after the training in order to complete the accreditation process. We will include a proforma letter to the BSP in the training kit for the banks to use to facilitate their accreditation. 2) Implementation Training – The course will provide a how-to step-by-step guide for banks that plan to initiate Smart Money-In Money-Out services. The training fee is P1,700.00 per participant inclusive of materials, food and venue. However, those who register and pay at least a day before the event will enjoy a discounted early bird fee at P1,300.00 per participant. Note that there is a minimum of twenty (20) participants in order to hold this event. Should we be unable to meet the minimum number of participants, you will be notified at least two days before that the course will be moved to a later date. Please deposit your payment to the RBRDFI Account No. 0012-1046-26 at Landbank, Intramuros, Manila Branch and fax a copy of the deposit slip along with your confirmation to RBAP at (02) 527-2980 or to MABS Office at (02) 400-4561 (Manila). Attached are the training agenda for your advance information and the confirmation sheet for your reservation. Should you have any questions, please feel free to contact Ms. Roselle Hernandez of MABS-Manila Office at (02) 400-0971 or Grace Dimapilis at (02) 527-2968 to 69. 1. Deadline for submission of registration is not later that April 18, 2012.
or April 10, 2012. Otherwise, reservation is considered cancelled. ​A fast growing bank, the Rang-ay Bank formally opened its 21st banking office last February 27, 2012 located at the heart of the municipality of Bangar, La Union. The ceremonial ribbon cutting was led by the town Mayor Joy Pinzon-Merin, with former PRC Board of Dentistry Chairman Dr. Rosita Canlas-Nisce. Rev. Fr. Gregorio Q. Nillo, Parish Priest of St. Christopher Church, officiated the blessing of the newly opened branch. Rang-ay President & CEO, Ives Q. Nisce in his opening remarks stated that the opening of Bangar Branch is the first branch to open, of the ten (10) Banking Offices approved by the Bangko Sentral ng Pilipinas. Nisce is proud that Rang-ay Bank is a home-grown bank, with it’s head office in San Fernando City, La Union. The bank now has 21 branches spread in six provinces of the north: Ilocos Sur, Ilocos Norte, La Union, Pangasinan, Abra and Benguet. ​Hon. Joy Pinzon-Merin welcomed the opening of the Branch and expressed the belief that the presence of Rang-ay Bank in Bangar signals improved economic activity of the municipality as it provides easy and affordable access to credit for the local farmers and entrepreneurs. Rang-ay Bank President and CEO Ives Nisce renewed the bank’s commitment to establish branches in towns which have limited access to formal financial services. “We would like to ensure that Rang-ay Bank services are accessible to a greater client base and to grant more people access to banking services,” said Nisce. This is in line with the advocacy of greater financial inclusion by BSP Gov. Tetangco. The opening of this banking office will surely bring banking services to the doorstep of the townspeople of this northern town of La Union, long famous for it’s hand-woven blankets. 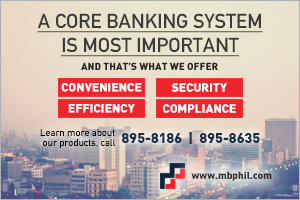 Philippine Star — The country’s rural banks will be aggressively lending to the consumer and small and medium enterprise (SME) markets this year, a bank official said. According to Rural Bankers Association of the Philippines (RBAP) president Ian Eric Pama, the high level of liquidity, low interest rate environment, and strong competition within the country’s banking systemserve as a perfect condition for robust lending. Pama added that rural banks would likewise increase their presence in the urban areas outside Metro Manila. “Rural banks will also expand aggressively in urban areas to capture these markets. And these are the thrift banks’ traditional market base,” the RBAP head added. “A lot of non-government organizations (NGOs) and foundations are into microfinance and they are not regulated by BSP (Bangko Sentral ng Pilipinas). There is no level playing field for rural banks, so we expect increased lending to SMEs and consumer market,” he added. And a lot of these groups, including the microfinance institutions (MFIs), are getting support fromcommercial banks. Still another reason is the swift urbanization of a lot of towns and municipalities where rural banks have strong presence. As these towns prosper and grow, the same goes with their credit needs and credit appetite, he said. Urbanization means more lending to the consumer and SME markets, a strong potential for deposits, and expansion of other bankingservices. Latest data from the BSP reflect a 4.1 percent growth in deposits in the first three quarters of 2011. Demand and new deposits went up 14.6 percent. In the same period, rural banks exceeded the 10-percent allocation for agrarian reform credit by over 14 percent. For microfinance lending, latest data reflect an amount of P5.8 billion in early 2011. Nonetheless, Pama said that there would still be a pressing need for the rural banking system to consolidate. “I expect more consolidations in the sector in the near future because as they say, size is might. To be able to compete competitively, size does really matter,” the RBAP president explained. He further explained that the entry of new and younger generations of rural bankers signals a shift of new ideas. &#10146;	Attended this Accreditation Training. Please forward to RBAP your hotel reservation for the upcoming 2012 RBAP National Convention in Boracay on or before March 16, 2012. For those who wish to extend their stay after the Convention proper, rooms may be subject to availability.